This is a multi-disciplinary SuperGen Marine lead collaborative proposal to introduce a new, academically challenging, methodology for enabling the optimised design of very large tidal stream turbine energy capture farms. 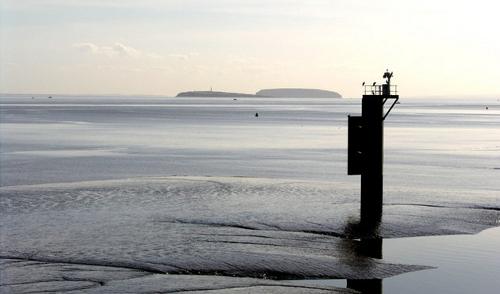 The initial application will be the demanding problem of shallow water estuary sites, with large tidal ranges. Such sites are a substantial fraction of the world’s tidal stream energy resource. State of the art methods are computationally too intensive for producing optimised designs, i.e., determining the optimal locations and power loadings for every tidal turbine. For large farms at best they can estimate the performance of pre-defined spatial arrangements of the devices with specified power loadings, because optimisation requires large numbers of separate performance calculations and thus designing a farm with minimum installed capacity cost/environmental impact (ecological and flood risk) is considered to be impractical at present. Up to 10% of the UK electricity demand could be supplied from tidal stream sources, but the inability to deliver optimised designs affects investor confidence in this sector thus directly impacts on achieving the UK’s 2020 and 2050 renewable energy targets. The proposed new methodology uses an analytic approach to describe the detailed farm region and a matching technique to combine this with a lower resolution computational fluid dynamical (CFD) description of the flow within the estuary as a whole. One deliverable will be the key deployment issue of the comparison between block farms layouts and staggered tidal fences.